The book, Educational Management: New Perspectives, exposes the salient and critical issues in the management of all levels of the educational sector. 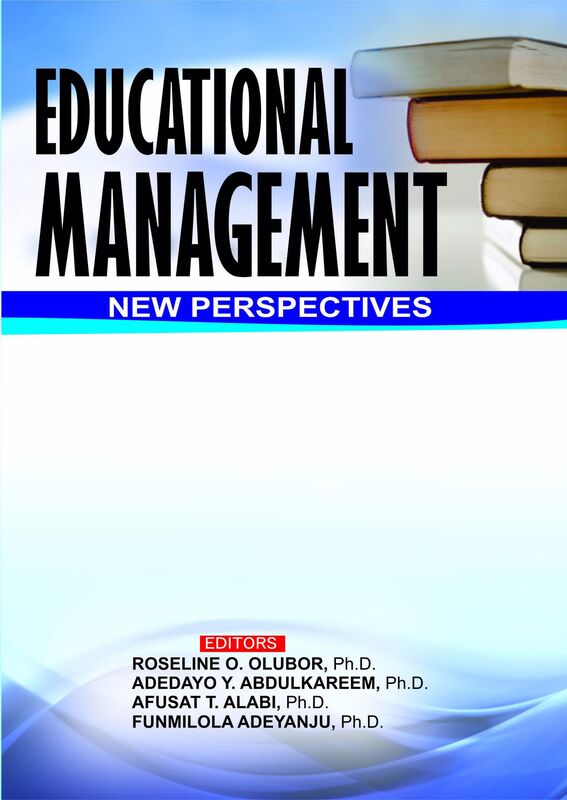 It will acquaint the readership with the concepts, principles and functions of educational management. Other issues relating to discipline, record keeping, mentoring, decision making, conflict management, school climate, facilities maintenance, school supervision, unionism, management theories, personnel management, research methods, time management and ethical issues are discussed. Also included in this text are topics on economics of education, accountability, demography, educational financing, educational management information system, manpower planning, politics of education, school mapping, approaches to educational planning and performance management in schools. The book has twenty five chapters contributed by scholars drawn from tertiary institutions in Nigeria. Students and lecturers of tertiary institutions at both undergraduate and postgraduate levels including colleges of education and polytechnics will find the book useful. It will also be a guide for policy makers, educational planners and administrators and classroom teachers. Members of the public in any discipline who may occupy a position of authority, management of human and non – human resources, will also find this book a valuable companion.